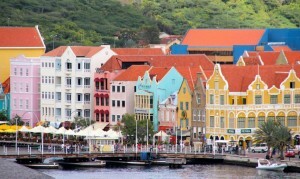 WILLEMSTAD - National legislation will be published online. The advocacy group Curaçao International Financial Services Association (CIFA), together with the Dutch Caribbean Legal Portal (DCLP), is working to digitize relevant laws of Curacao. The database should be ready in the second half of this year. An international financial center must be transparent and must therefore give potential customers and investors and their financial advisers access online to the national legislation, according to the CIFA. In addition, because of the transparency and monitoring of international guidelines, it is also important that the legislation is directly accessible to treaty partners and international organizations. It will not only be in Dutch, but also offered in English. On a limited scale, it is already possible to consult the legislation, but none of the websites gives a complete picture. The database is currently being developed to include at launch all regulations and decisions before and after October 10, 2010 and the decisions that still need to go into effect. After the launch, the database will be constantly updated with new claims and decisions.